Video from The 2012 R. Lowry Dobson Memorial Lecture featuring Walter Alvarez, Big History and ChronoZoom now online! 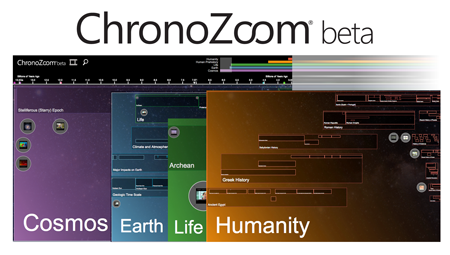 With ChronoZoom, you can browse history, rather than digging it out piece by piece. 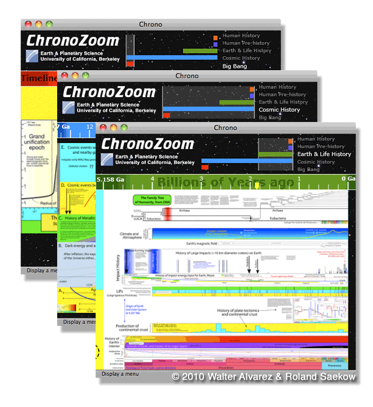 ChronoZoom is a timeline for all of history: From the Big Bang, to the time of the dinosaurs, to the present.